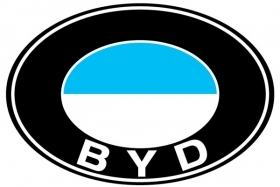 BYD Co. has ended an agreement to set up a joint-venture auto finance company with French company Compagnie Generale de Location d'Equipements. The proposed partnership fell apart after the two companies failed to agree on a business strategy, BYD said in a statement. That's because CGL believes China's auto market faces increasing risks. CGL will pay BYD 2.3 million yuan ($355,295) as compensation for backing out of the deal. Under the agreement signed in June 2010, the partnership would have been headquartered in the southern city of Shenzhen -- where BYD is based -- with registered capital of 500 million yuan. BYD, a private automaker backed by billionaire investor Warren Buffett, would have held an 80 percent stake in the partnership, while CGL would have held 20 percent. BYD says the termination of the agreement will have no significant impact on its financial position and business operations. In the first five months of this year, BYD sold 199,904 vehicles, down 21 percent year-on-year, according to J.D. Power and Associates.